Three years ago almost to the day, I took an excursion to Guanajuato from San Miguel de Allende. It was a lovely day of touring a city so close in geography, yet so different from San Miguel in energy and culture. It wasn’t Day of the Dead, but I had a close encounter with death … fortunately, not my own. 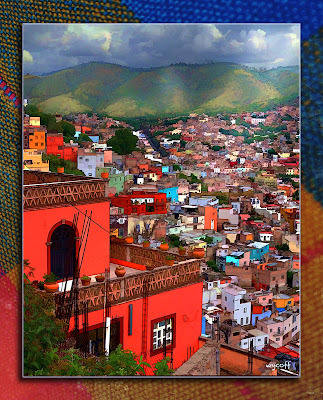 Guanajuato (GTO) is a college town and feels young and vibrant. Which is good since it’s also a step-filled town built on hills with delightful, challenging alleys snaking ever upward. 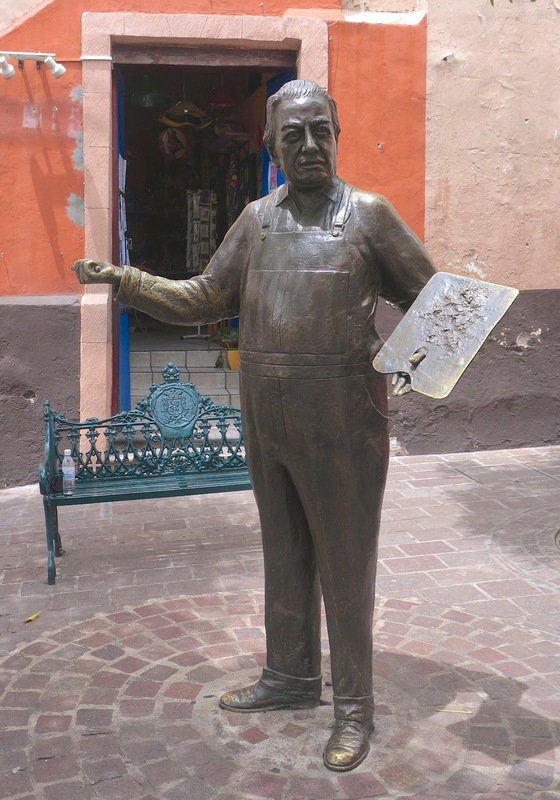 Guanajuato was where I realized that Mexico’s relationship with death went far beyond the holidays in November. It was there I visited my first panteón as well as the “mummy museum." Grave … below ground burial. Casket … the structure that holds the remains of the deceased. Vault … sealed outer container that protects the casket. Tomb … above ground burial. Mausoleum ... independent above ground structure built to hold the remains of a person or persons. Tomb … the structure holding the remains is also called a tomb. Cremation niche … where ashes are stored, usually in an urn. Crypt … burial spot, built to hold a casket in a concrete or stone chamber. "I like Mexican cemeteries. To me, they seem very real and very human. They are not sterile, tidy places. They are not manicured. They are certainly not uniform. They are a reflection of the life that came before them, the untidy lives lived by the people that now inhabit—and perhaps haunt—them. "The Mexican graveyards I know and love are much like life in this rich and colorful country—varied and many, often untidy, frequently haphazard, exuberant and overdone." 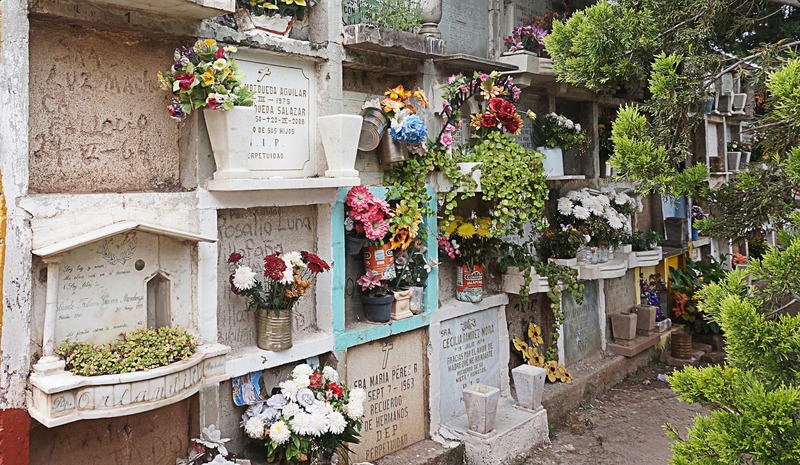 You can feel it when you enter a cemetery in Mexico. The ones I’ve been in are not quiet, serene, deserted places. Even when empty, they pulse with a kind of energy that sometimes makes me feel like an intruder. Sign for Mummy Museum. Click for more info. Mexico experienced a cholera pandemic in the 1830s - 1840s. 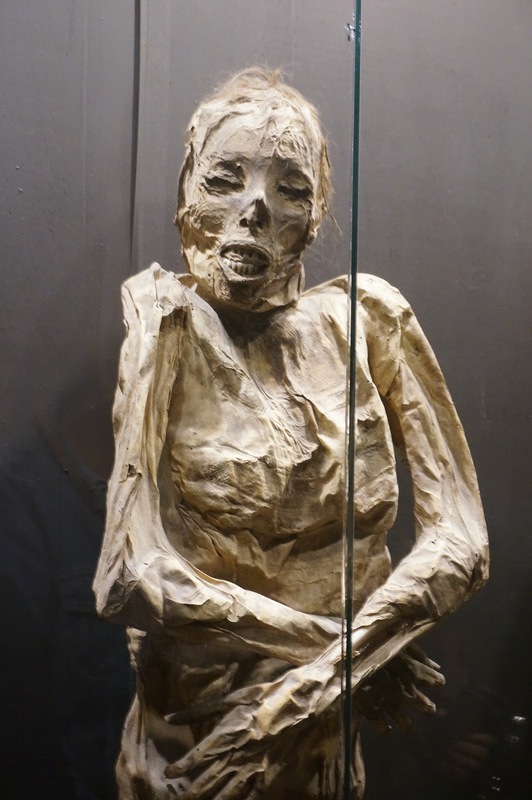 Hundreds of thousands of people died and some of those people who were buried in Guanajuato became “mummies” because of the dry climate. Over the years many of them were discovered and had to be reburied. 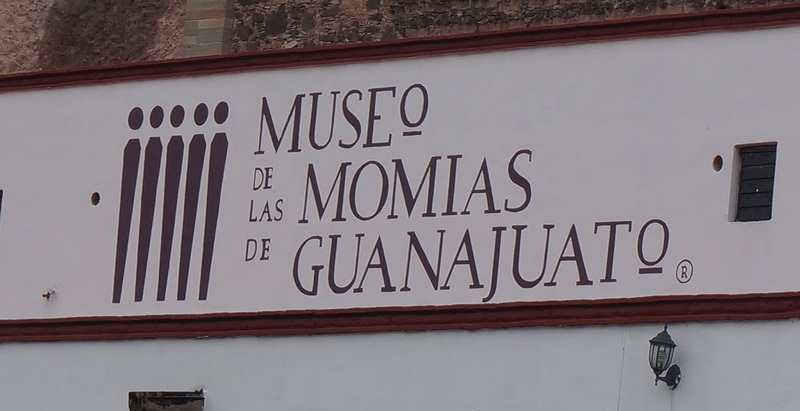 However, there was a tax to be permanently buried so many of the bodies were just stored until the Museo de la Momias de Guanajuato was opened. It’s a weird experience seeing the shells of former lives in such non-living detail: shoes, clothing, facial expressions on adults, children, infants. 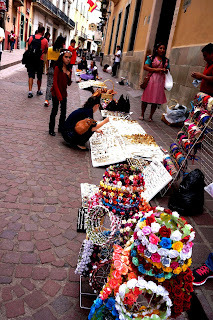 Beyond cemeteries and mummies, Guanajuato is a wonderful walking town with vendors dotting the streets and surprises around every corner. 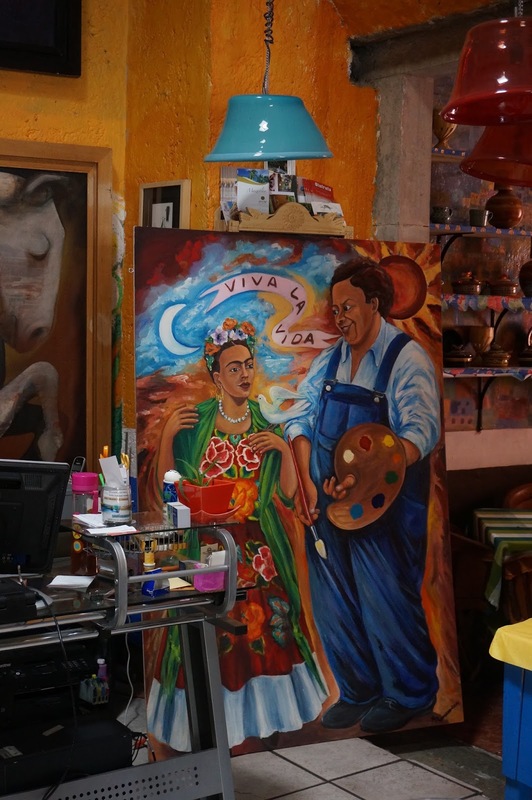 The Diego Rivera museum is housed in a home he had lived in early in his life. The exhibit was a fascinating review of Rivera's art and made me appreciate the artist beyond the muralist. While Diego was being honored, there was only a glancing mention of Frida. Down the street, however, I found a cafe that had not forgotten her. 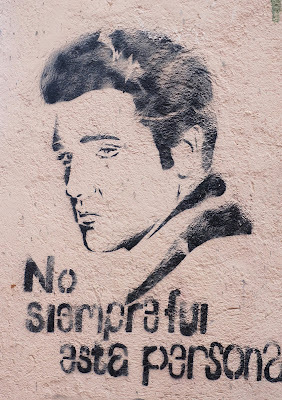 There were lots of little surprises found in GTO, but one that amused me a lot was a wall stencil of Elvis. Just seeing his face on a wall overlooking the city was a shock but I was even more amused when I translated the words: I was not always this person. I have thought a lot about what the artist meant with this photo and portrait. I think it reveals a sense of humor and and awareness of the dance of life and death. 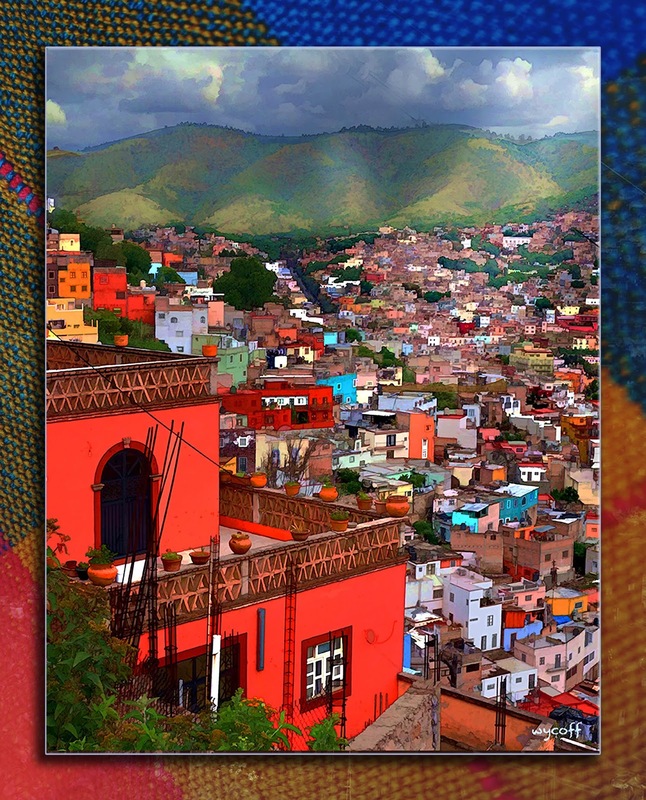 It will always be one of the many reasons I love Guanajuato. El Panteon de Belen is a cemetary in Guadalajara thought to still have spirits walking around at night. Guided night tours are even available. I remember visiting that beautiful city eons ago. 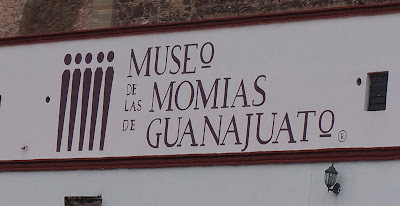 And the Museo de las Momias was what I remember most. I miss hearing the church bells.